Innovations in diesel engine technology are powering some of lowest school bus emissions in the industry. Manufacturers such as Detroit and Cummins are leading the charge with groundbreaking advancements that are ensuring clean air for drivers and students, and more efficient, easier-to-maintain buses for fleet managers and maintenance technicians. 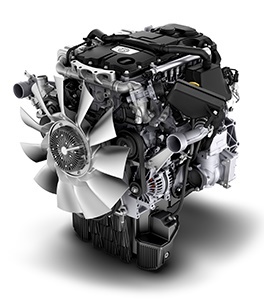 “We are seeing a whole new level of engine technology with these new models. Never before have diesel engines been cleaner, more fuel efficient or easier to maintain,” said Caley Edgerly, president and CEO of Thomas Built Buses. “These new engines have emissions on par with alternative-fuel engines and reliability, efficiency and fuel economy exceeding the competition." One of the biggest pain points for diesel technicians has been maintenance on the aftertreatment system. Now, through state-of-the-art variable cam-phasing technology, the aftertreatment system allows additional heat to enter the exhaust stream, enabling efficient operation of the aftertreatment system in low speed, stop-and-go operations. Touted as a game-changer, the Virtual Technician helps fleets make informed maintenance decisions. Virtual Technician is backed by the experts at the Detroit Customer Support Center, who provide immediate information on fault codes via email or notification via the Detroit Connect portal. Critical faults are sent the Detroit Customer Support Center, where an expert analyzes the fault event and provides additional detail to the fleet. Within minutes, the driver or fleet manager knows the cause of the code, the level of severity and recommendations for fault resolution and the parts to fix the problem. your local Thomas Built Buses dealer. *Either 18 months or 1,500 hours, whichever comes sooner.